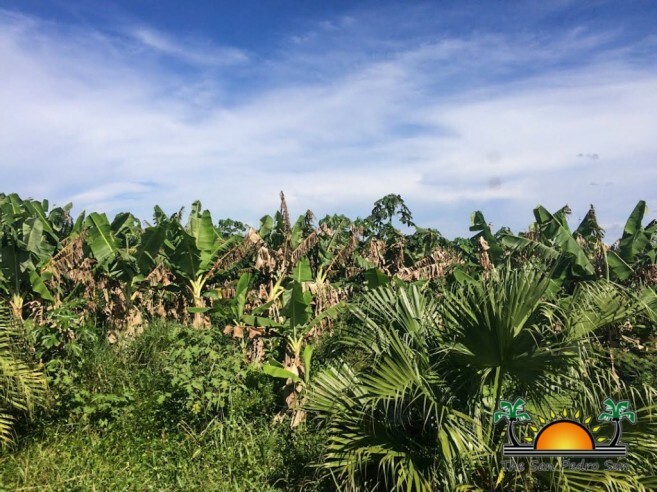 It has been almost a year since the Banana Industry in Southern Belize saw the shutting down of one of its largest banana farms – Meridian Enterprises Ltd. The farm’s main buyer for years, Irish based company Fyffes, decided to cut ties after the United States (U.S) blacklisted John Zabaneh, banana farmer and exporter whose family owns the said farm. Despite allegations that Zabaneh is not affiliated with Meridian Enterprises, the US sanction still had a wider impact on the key crop, which intern severely hurt the Belizean economy. The legal action was intended only for Zabaneh, his alleged associates and their businesses. However, when the news broke out in October of 2015, it not only dented Belize’s banana exports for months, but it also left thousands without a job. Furthermore, the Belizean economy lost a main source of hard currency and added to its economically fragile situation. The U.S’s Foreign Narcotics Kingpin Designation Act prohibits individuals, even if they are from other countries, from conducting business with individuals declared by the U.S to be drug dealers, or companies associated with such individuals, or suffer consequences, which can be harsh, as many individuals and companies have found out. Any person or company disobeying this regulation can expect their assets to be frozen in U.S banks or in other monetary institutions connected to U.S banks. The consequences are dire for companies or countries that cannot do business with U.S banks, especially if those countries are poor and financially depend on US banking services. Fyffes indicated that their decision to sever the relationship with Meridian Enterprises was after it was made known to them that Zabaneh had ties to the Sinaloa Mexican drug cartel and drug kingpin Joaquin ‘El Chapo’ Guzman. Fyffes was in fear that they may themselves come under sanctions by associating with members of the organized crime, such as a company whose owner had been labeled as a drug kingpin. Meridian Enterprises was previously known as Mayan King Ltd, but placed under a different management following Zabaneh’s blacklisting in 2012. However, that was not enough for U.S officials. During that same year,(2012), when Zabaneh was red flagged, the Banana Growers Association (BGA) issued a statement confirming that Zabaneh and Mayan King had resigned from the trade group, and that the farm was under new ownership not connected to Zabaneh. Following this statement, Fyffes continued buying bananas from the farm for three more years. The change of management was also observed by the Ministry of Agriculture and Fisheries and according to the Chief Executive Officer Jose Alpuche, the idea was lobbied swiftly. “The Officials’ aim was to figure out how to keep the banana industry up and running,” said Alpuche. “Members of the U.S Treasury made it clear via a phone call in 2012, with Belize officials that it was up to private firms, not the U.S government, to determine whether the solution was acceptable.” However, in 2015, Zabaneh was quoted in the Belizean media speaking about the farm. He told reporters that his mother owned the farm throughout the change of management and he was speaking on her behalf. The report reached Fyffes who saw Zabaneh being publicly linked to Meridian Enterprise and decided to cut off business relations with the farm. 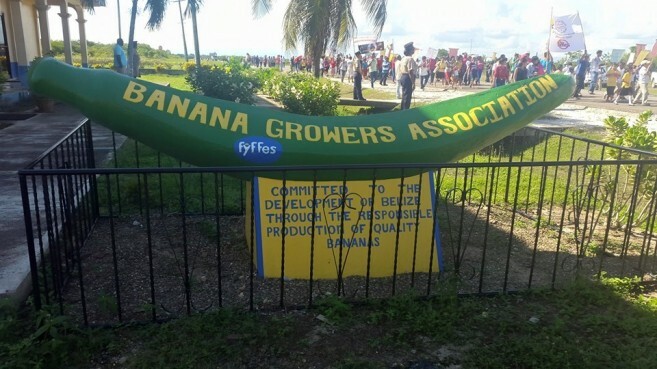 However, Fyffe’s continues to buy bananas from other farms in Belize. The big cut in banana exportation, according to the Statistical Institute of Belize (SIB) triggered a significant impact in the banana belt. The value of banana exports was brought down to $1 million, just in October of 2015, a drop of 80%. According to the SIB, in the first three months of 2016, there was a 42% decrease in banana shipments as a consequence of the closure of Meridian Enterprise, and floods from heavy rains. After Hurricane Earl brought severe floods to all parts of Belize, the SIB is expecting another hit in the economy following this natural disaster. In Belize, banana is exported all year round, which makes it a vital crop for the local economy in a country where 40% of the population is in poverty. It provides thousands of jobs not only to Belizeans, but migrants from other parts of Central America. As a result, many of these migrant families who did not find jobs elsewhere after the farm closed down, had to return to their countries of origin. According to former Director of Meridian Enterprises, Jose David Gonzalez, Fyffes is the only route for business at the moment. “BGA signed an exclusive arrangement with Fyffes, and so we have no other recourse than to sell to Fyffes, since they have a monopoly in our country,” said Gonzalez. In the recent years, the U.S has increased its use of targeted economic sanctions which are used as an alternative to more deadly options like air strikes or military raids. These sanctions are also considered better than a total embargo such as the situation with Cuba, and boycotts with Iraq and Iran. It is believed that such actions have stunted those countries’ economies, thus, giving this method the credibility of positive results. According to a former senior advisor at the U.S Treasury Adam Smith, he also agrees on the effectiveness of these acts. “Increasingly, the U.S government has imposed sanctions on individuals, entities, and companies that are wrongdoers, as opposed to entire jurisdictions, this has been viewed as more effective and fair,” said Smith. As the matter is far from being solved, Meridian Enterprise’s farm lies dormant and overgrown with weeds. The banana plantation has become infested with the black sigatoka disease, and according to officials from the Ministry of Agriculture and Fisheries, has been rendered useless. It will take a long time before the farm is in condition to export once more.